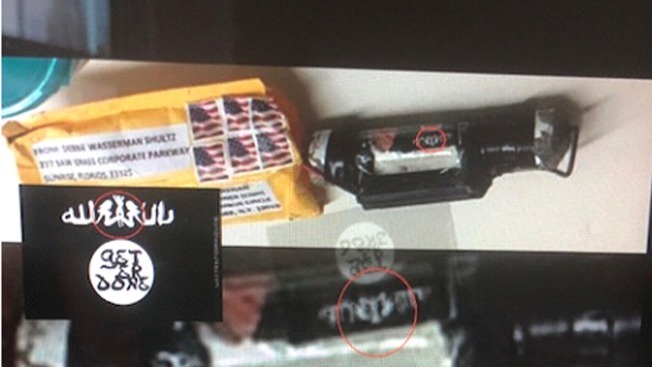 Law enforcement sources tell News 4 that the device mailed to former CIA director and onetime CNN commentator James Brennan was emblazoned with the image, which includes the catchphrase of comedian Larry the Cable Guy and images of three women replacing the normal imagery on the terrorist organization's flag. NBC News reports that the flag was originally created in 2014 by the right-wing parody site World News Bureau for an article titled "ISIS Vows Retribution For Counterfeit Flags." It has since become a meme on right-wing websites and forums. 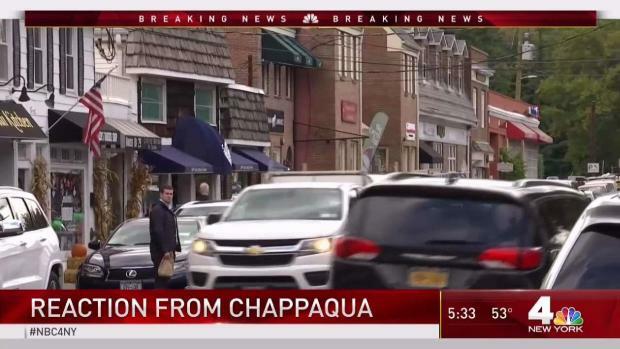 Chappaqua residents are unnerved by news of the suspicious package sent to the Clintons. Ken Buffa reports. The owner of the site did not respond to NBC News' request for comment. It's unclear if the other devices -- addressed to Hillary Clinton, the Obamas, billionaire George Soros and former Attorney General Eric Holder, with former Democratic National Committee Chair Debbie Wasserman-Schultz listed as the return address -- also contained the image.